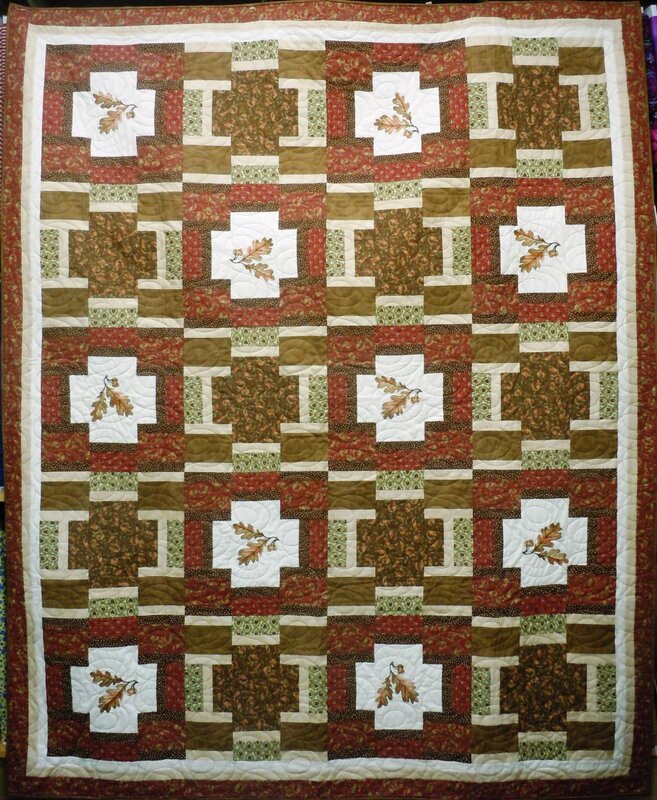 This twin size quilt is constructed with Moda Kansas Trouble Oak Grove Lane series fabrics. The oak leaves are embroidered. The quilt is complete with a matching back, hanging sleeve, and long arm quilted edge to edge.